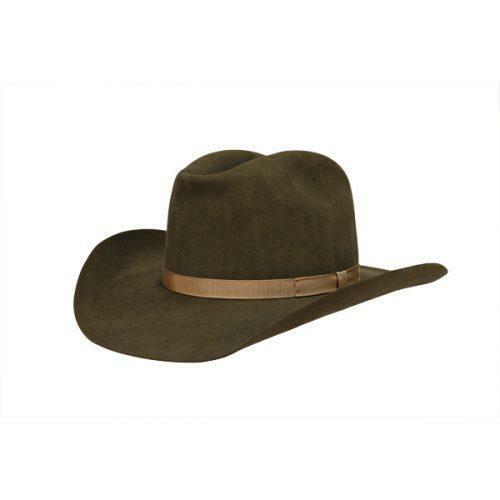 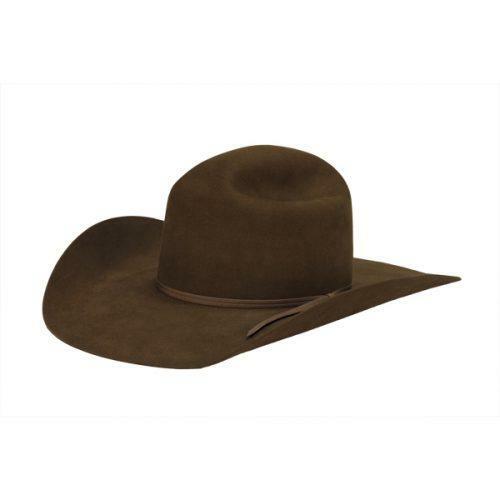 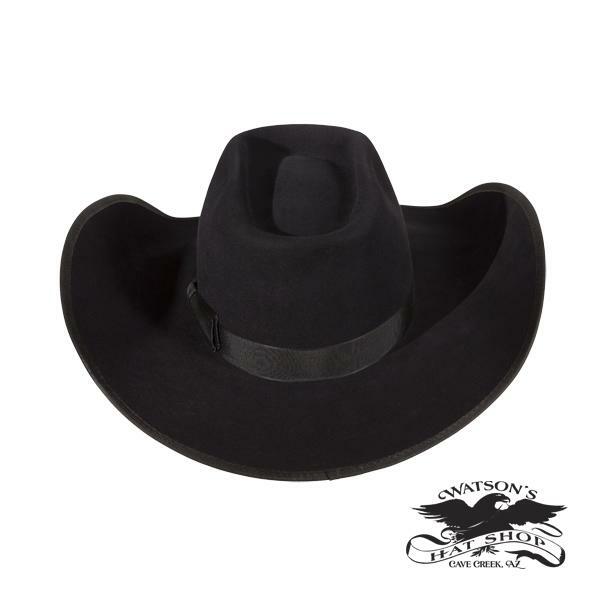 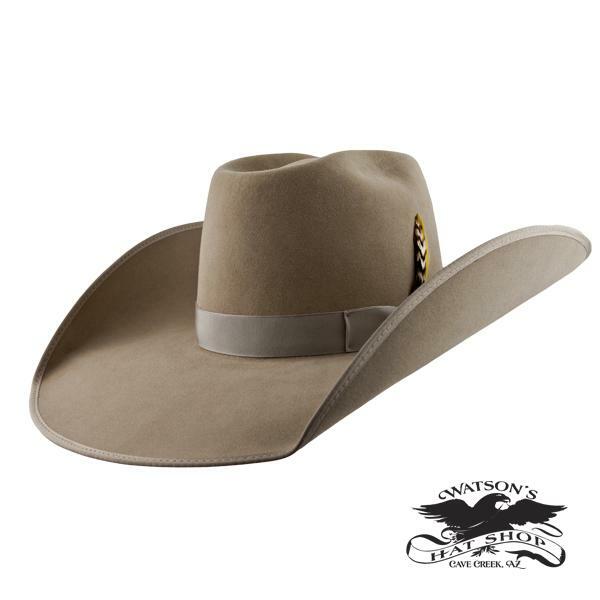 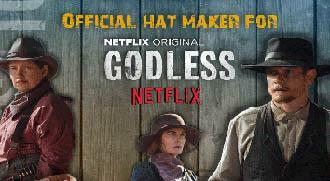 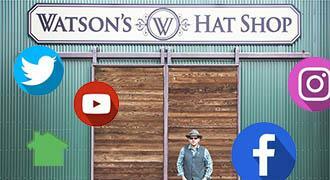 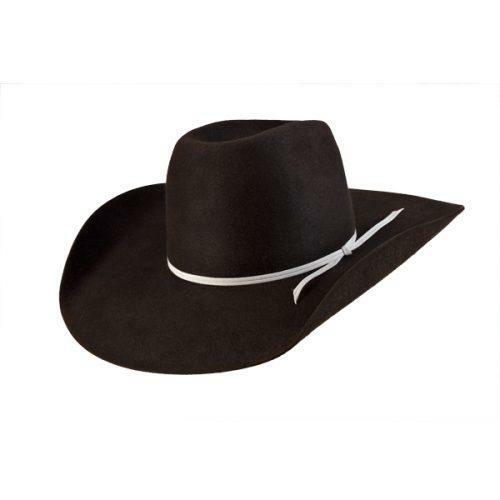 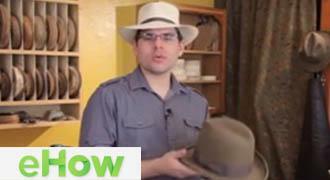 A great looking cowboy hat that is used in the Pan Handle area of the US on cattle ranches today. 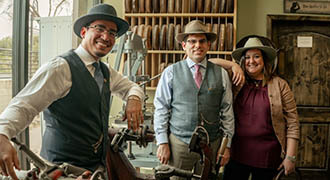 Shown with ribbon work and ribbon edging. 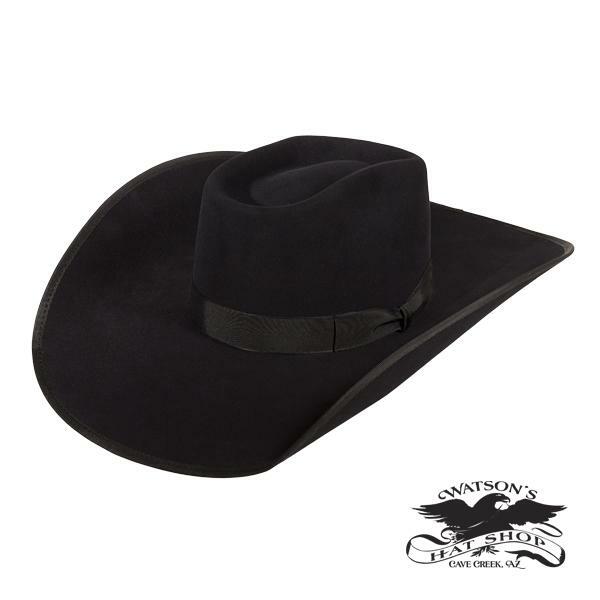 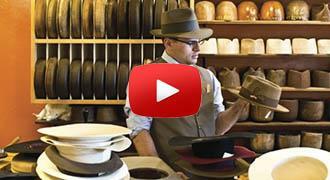 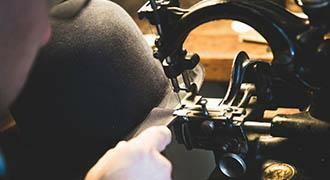 This hat comes with a wide 4 1/2 brim with high set sides and wide squared front. 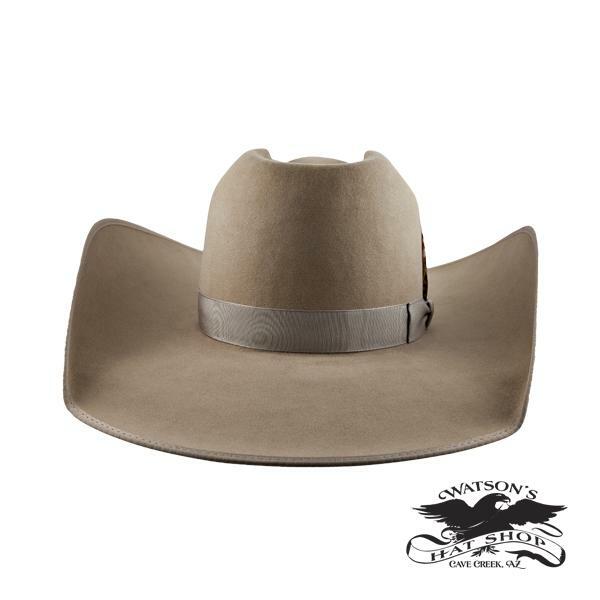 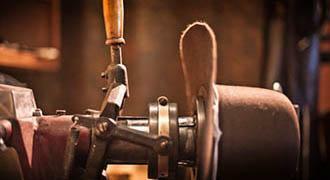 Made from pure beaver and shown in our Platinum Hat Finish.